Pharmacist's Mate First Class Francis Junior Pierce (7 December 1924 - 21 December 1986) was a U.S. Navy Corpsman who received the U.S. military's highest award for valor, the Medal of Honor, for his heroic actions in the Battle of Iwo Jima during World War II. Francis Junior Pierce was born on 7 December 1924 in Earlville, IA, and grew up there. On his 17th birthday, the day Pearl Harbor was attacked, he enlisted in the Navy. After his initial training at Great Lakes Training Center in Illinois, he trained to become a hospital corpsman and then joined Marine Corps combat infantry training. Pierce was assigned to the 4th Marine Division where he participated in numerous military campaigns including Saipan and Tinian. During Iwo Jima, he helped in caring for wounded Marines and became one of four corpsman to receive the Medal of Honor during the battle, although he was initially awarded the Navy Cross. In December 1945, Pierce was discharged from the Navy. After a brief stay in his hometown of Earlville, IA, he moved to Grand Rapids, Michigan. There, he married a young woman named Lorraine who he had been communicating with during the war, and joined the Grand Rapids Police Department. In 1948, Pierce was informed that his Navy Cross was being upgraded to the Medal of Honor. He was presented with the Medal in a White House Rose Garden ceremony by President Harry S. Truman. 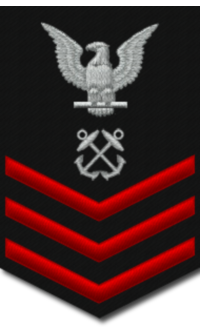 Rank and organization: Pharmacist's Mate First Class, U.S. Navy serving with 2d Battalion, 24th Marines, 4th Marine Division. 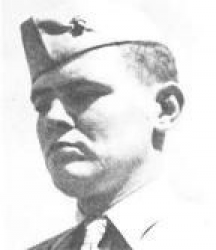 Citation: For conspicuous gallantry and intrepidity at the risk of his life above and beyond the call of duty while attached to the 2d Battalion, 24th Marines, 4th Marine Division, during the Iwo Jima campaign, 15 and 16 March 1945. Almost continuously under fire while carrying out the most dangerous volunteer assignments, Pierce gained valuable knowledge of the terrain and disposition of troops. Caught in heavy enemy rifle and machinegun fire which wounded a corpsman and 2 of the 8 stretcher bearers who were carrying 2 wounded marines to a forward aid station on 15 March, Pierce quickly took charge of the party, carried the newly wounded men to a sheltered position, and rendered first aid. After directing the evacuation of 3 of the casualties, he stood in the open to draw the enemy's fire and, with his weapon blasting, enabled the litter bearers to reach cover. Turning his attention to the other 2 casualties he was attempting to stop the profuse bleeding of 1 man when a Japanese fired from a cave less than 20 yards away and wounded his patient again. Risking his own life to save his patient, Pierce deliberately exposed himself to draw the attacker from the cave and destroyed him with the last of his ammunition. Then, lifting the wounded man to his back, he advanced unarmed through deadly rifle fire across 200 feet of open terrain. Despite exhaustion and in the face of warnings against such a suicidal mission, he again traversed the same fire-swept path to rescue the remaining marine. On the following morning, he led a combat patrol to the sniper nest and, while aiding a stricken marine, was seriously wounded. Refusing aid for himself, he directed treatment for the casualty, at the same time maintaining protective fire for his comrades. Completely fearless, completely devoted to the care of his patients, Pierce inspired the entire battalion. His valor in the face of extreme peril sustains and enhances the finest traditions of the U.S. Naval Service. In civilian life, Pierce had two sons with his wife Lorraine. After she died, he married Madelyn Mellema and had two daughters. 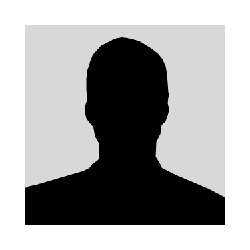 He served a long, distinctive career in the police department, carrying out many duties such as being the head of the vice squad and being a bomb disposal expert. He eventually became deputy chief in 1972. A special memorial scholarship was established by the Marine Corps in his name to honor Navy Corpsman. Pharmacist's Mate First Class Francis Junior Pierce died of cancer on 21 December 1986. He is buried at Holy Cross Cemetery in Grand Rapids, Kent County, MI.